In the presence of the Prime Minister and Minister of Higher Education and heads of Egyptian universities. 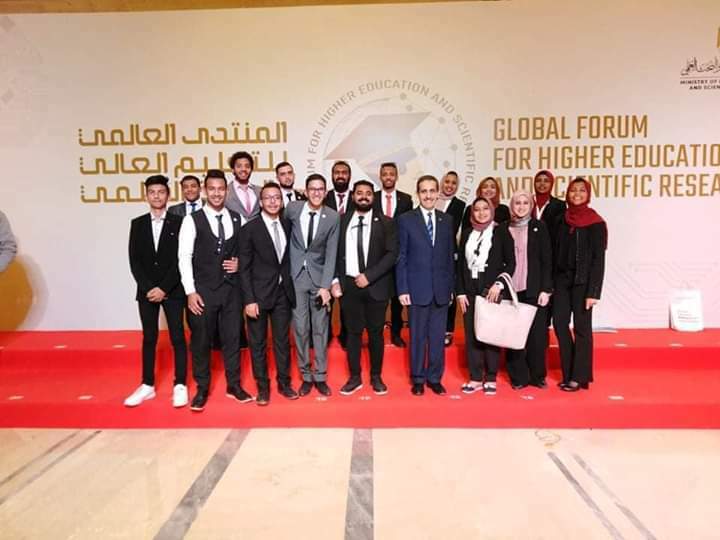 President Al-Sisi attended the opening session of the World Forum on Higher Education and Scientific Research, which included the Minister of Higher Education and Scientific Research. Then he held dialogue with senior businessmen, technology companies and scientists in the fields of digital technology from America, Japan and India. It is worth mentioning that the university participated in five inventions, namely, electric car, student race car, remote control electric submarine, auto control system, RFID technology.